WOW! Right now you can print out this NEW $0.50/2 Libby's Pumpkin coupon! Use zip code 30187. 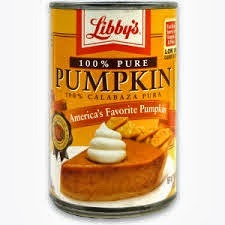 With the holiday season coming up now is the time to stock up on Libby's Pumpkin for all your baking needs. There aren't any deals right now but we will be sure to post any as soon as we find them. Please let us know if you see any.